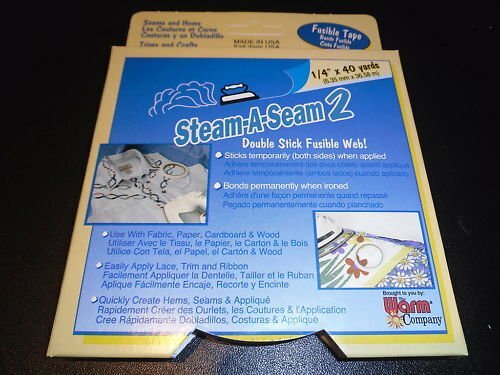 I ordered this product after I was watching a “Nancy Zieman” show and she was recommending this product. I’ve always thought how nice it would be to have some sort of tape that could bind folded seams. Yep, this product is wonderful! Because it’s hard to fold 1/4″ seams, this kept the seam in place and I was able to sew it without using pins! EXCELLENT!